A financial advisor I know describes the reality of investing money by saying, “Hope for the best and be prepared for the worst.” With almost every decision we make in life there is uncertainty about the outcome. Close. But my preference would be for “[Prepare With] the BEST to be prepared for the worst.” That’s a pretty good nutshell for quality-driven growth investing — WITH YOUR FRIENDS. One of the more powerful — and enabling — things that we do as a community is DISCOVER and share ideas that have the potential for better returns. Better returns enable better futures. These futures are often very altruistic and philanthropic and I love the generosity I’ve witnessed over the last few decades working with so many of you. 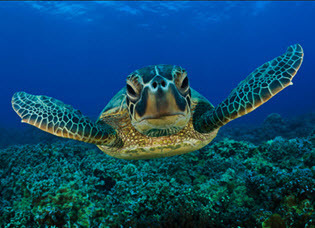 We’ll show you how to soar with turtles. The average Value Line low total return forecast for the companies in this week’s update batch is 7.7% vs. 3.3% for the Value Line 1700 ($VLE). Value Line Low Total Return (VLLTR) Forecast. The long-term low total return forecast for the 1700 companies featured in the Value Line Investment Survey is 3.3%, unchanged from 3.3% last week. For context, this indicator has ranged from low single digits (when stocks are generally overvalued) to approximately 20% when stocks are in the teeth of bear markets like 2008-2009. The Long & Short. (January 27, 2017) Projected Annual Return (PAR): Long term return forecast based on fundamental analysis and five year time horizon. Quality Ranking: Percentile ranking of composite that includes financial strength, earnings stability and relative growth & profitability. VL Low Total Return (VLLTR): Low total return forecast based on 3-5 year price targets via Value Line Investment Survey. Morningstar P/FV: Ratio of current price to fundamentally-based fair value via www.morningstar.com S&P P/FV: Current price-to-fair value ratio via Standard & Poor’s. 1-Year ACE Outlook: Total return forecast based on analyst consensus estimates for 1-year target price combined with current yield. The data is ranked (descending order) based on this criterion. 1-Year S&P Outlook: 1-year total return forecast based on S&P 1-year price target. 1-Yr “GS” Outlook: 1-year total return forecast based on most recent price target issued by Goldman Sachs.